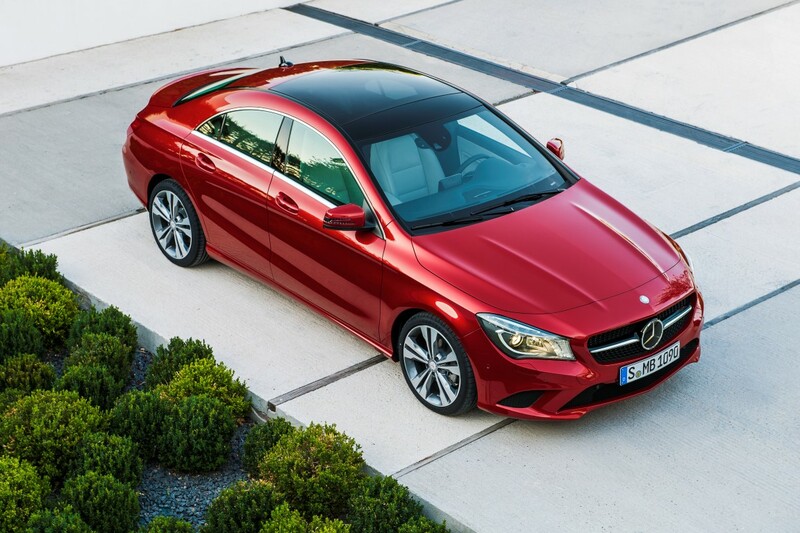 Mercedes-Benz just unveiled its new “four-door coupe,” the 2014 CLA-Class. If the car’s baby-CLS looks are anything to go by, BMW’s 1-Series may have to watch its back. 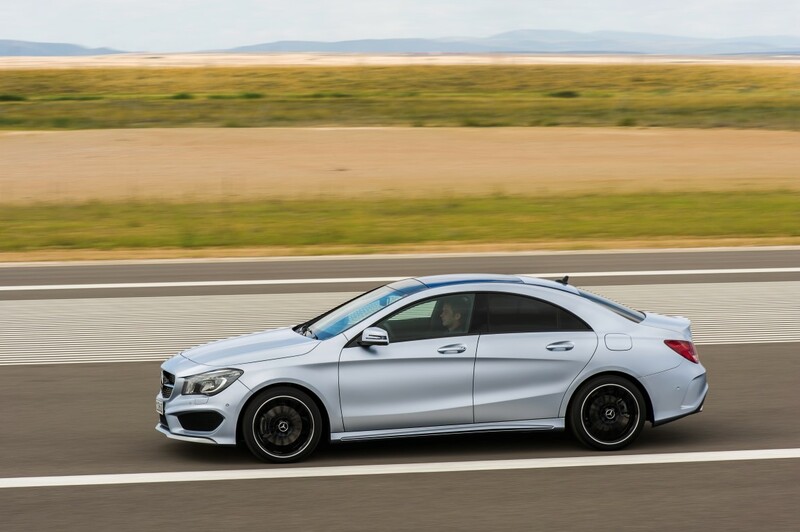 The new compact sports sedan is based on the latest A-Class hatchback and shares the smaller car’s sleek styling and complex surfaces. 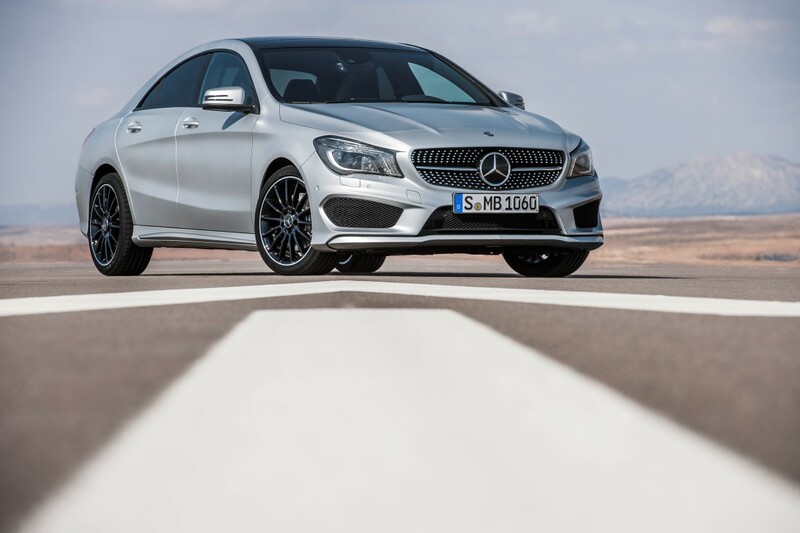 Most impressive of all is the CLA’s drag coefficient (Cd) of just 0.23 (0.22 for the CLA 180 BlueEFFICIENCY edition for other markets), which makes the CLA the most aerodynamic car in production (the only car with a lower Cd was GM’s 1990s electric car, the EV1, at 0.195). 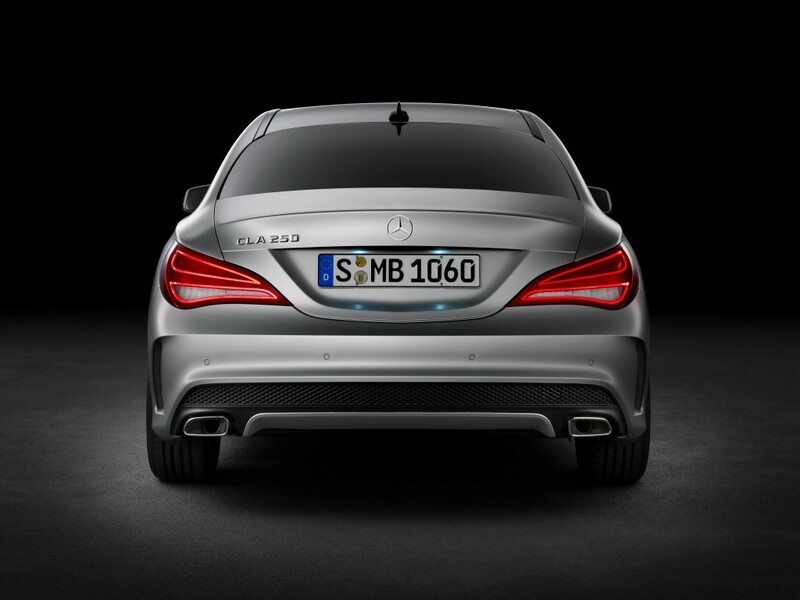 To achieve this, Mercedes engineers focused on underbody paneling, side-view mirrors, and aerodynamic wheels. 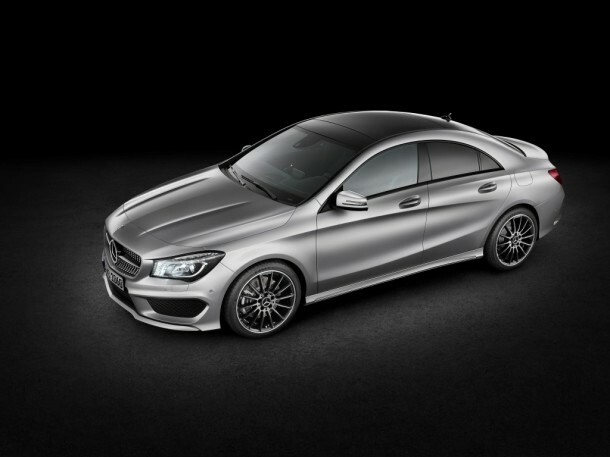 Mercedes will equip the CLA with a variety of engines: the CLA 180 gets a 1.6L I4 engine good for 122 HP / 147 lb-ft and 0-62 mph in 9.3 sec. 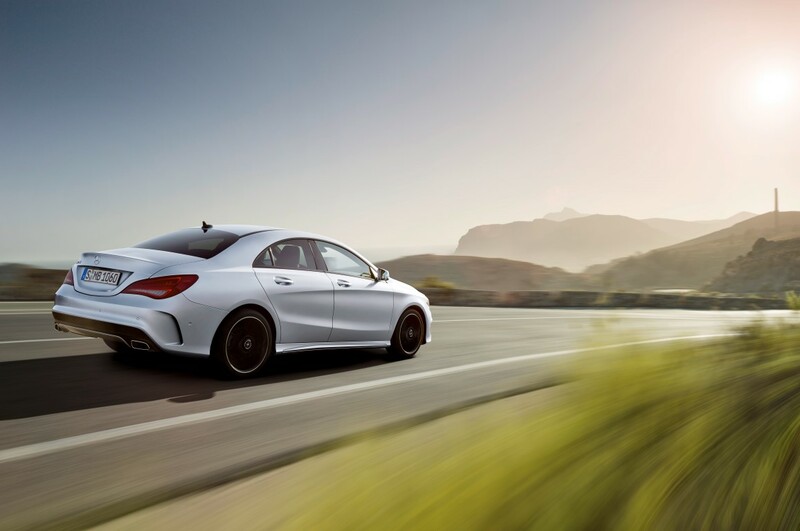 The CLA 250 packs a 2.0L engine, 211 HP / 258 lb-ft, and 0-62 mph in 6.7 sec. 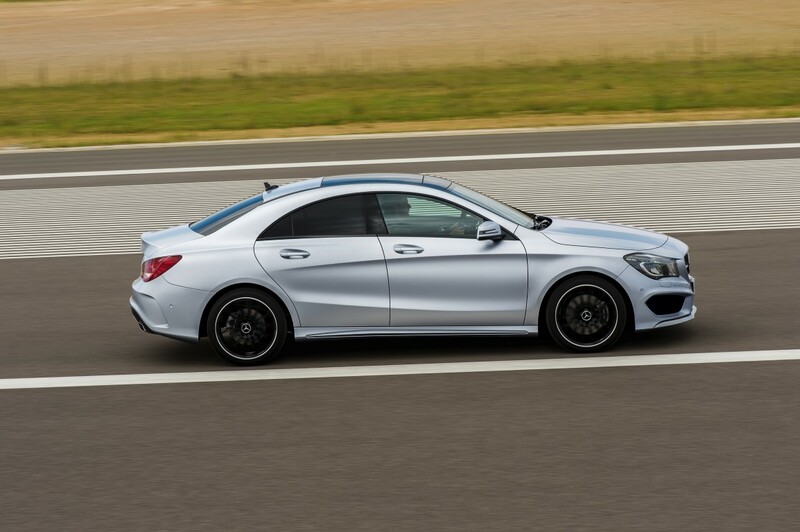 For diesel fans, the CLA 220 CDI gets a 2.2L block that puts out 170 HP, pushing the car to 62 mph in 8.2 seconds. Transission options will be a seven-speed dual-clutch automatic and a 6-speed manual. 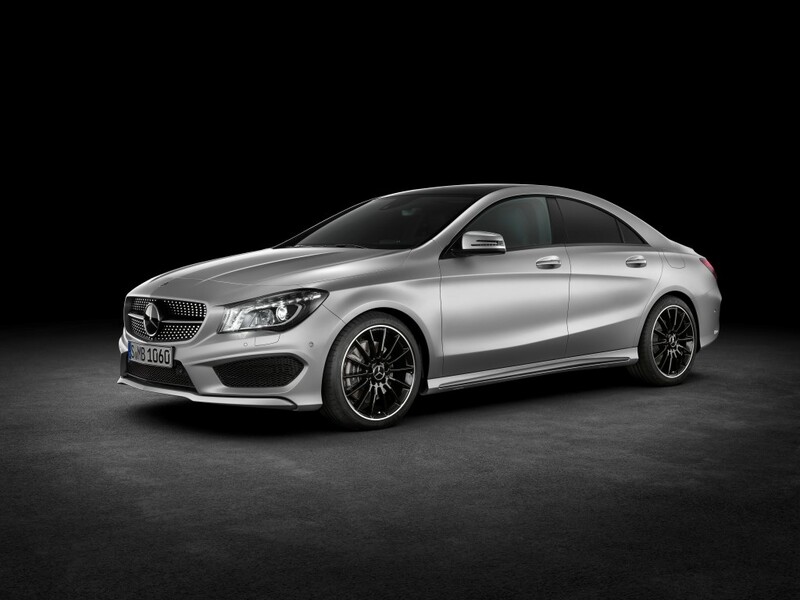 Mercedes will probably bring only the CLA 250 to America, with the automatic in tow. Of course, the company’s in-house tuner, AMG, is working on a hopped-up version. 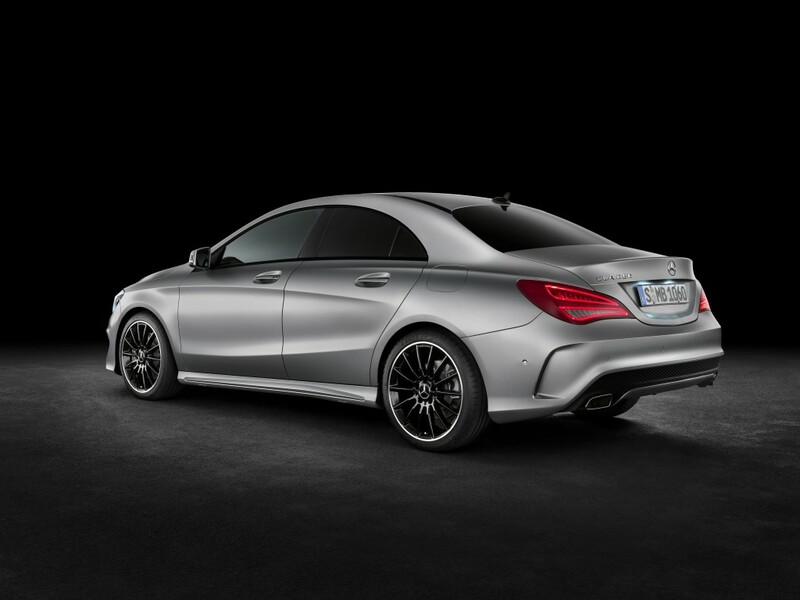 The CLA45 AMG packs a turbocharged version of the 2.0L I4, producing over 350 HP / 295 lb-ft. That’s a lot of muscle for such a small car. Inside the cockpit, you’ll find Mercedes’ latest COMAND infotainment system, which includes Garmin-powered navigation with real-time traffic and Google Street View imagery, internet radio, Facebook / Twitter support, real-time location sharing, and for iPhone users, Siri integration. Among the options are ambient fiber-optic lighting and a large panoramic sunroof. 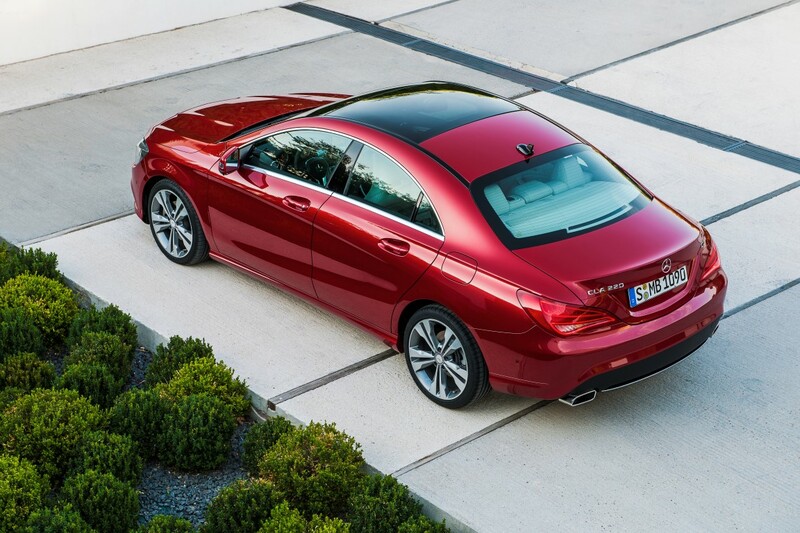 The car gets an array of hand-me-down safety features from the E-Class, such as drowsiness detection and radar-based collision prevention with adaptive brake assist. 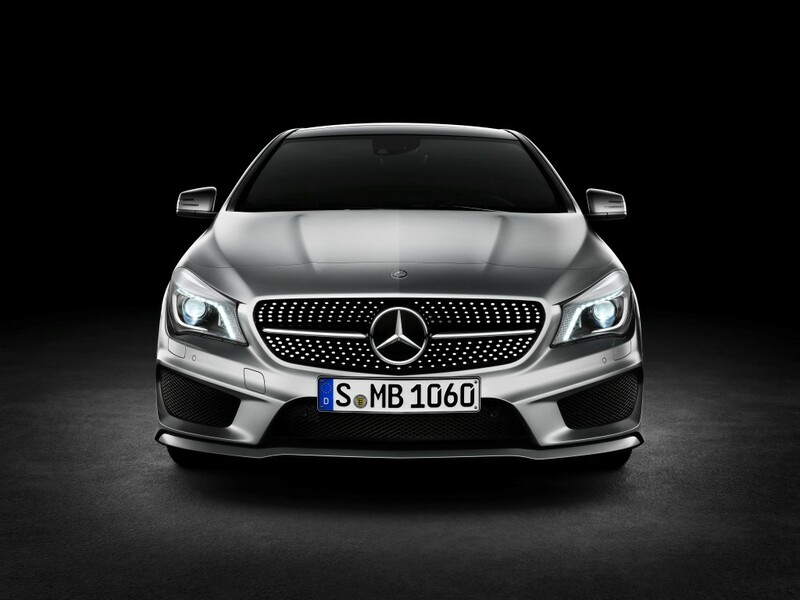 Slotting in under the C-Class, the CLA is on track to hit U.S. dealers later this year, starting at around $30,000.